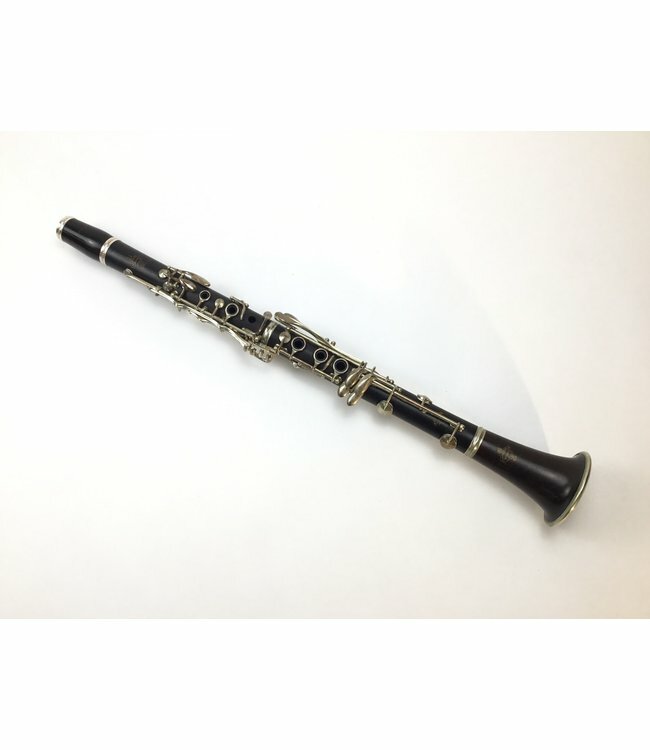 Used pre R13 Buffet Bb clarinet. Grenadilla wood with silver plated keys. Wood is in good condition, keys show typical wear at contact points. While the bell is a buffet bell it does not match the rest of the clarinet. Barrel is a Dillon replacement barrel. There is no mouthpiece included with this instrument. Includes Protec case.